The much anticipated Melbourne Festival returns to the world's most liveable city in October with a program that is set to wow audiences. It is counted as one of the world's major multi-arts festival and also one of the country's international arts festivals. Many of the events are exclusive to Australia and also premiere in Melbourne. Check out the Festival website for program details, schedule and bookings. Here are some of the Festival highlights to get you excited. Photo courtesy of Dis-Dis Producciones, S.L. You've witnessed street parades during Australia Day or Moomba but there's nothing like Deabru Beltzak's 'Les Tambours De Feu'. Heralding from the Basque Country in Northern Spain, Deabru Beltzak is a Street Theater of international fame, having performed in more than 35 countries. It was established by actors and actresses of different professional theater groups in 1996. 'Les Tambours De Feu' will bring flames, smoke and drums to the streets of Melbourne in a ritualistic performance and parade like no other. Be prepared for a sensory bombardment that will rock the night. Best of all, it's FREE to attend. Faye Driscoll brings an exclusive dance and circus performance to Australia that will leave the audience in awe. Based in New York, Faye is a Bessie Award-winning choreographer and director who is known for creating new forms of sensory theatrical experiences. This first installment in her 'Thank You for Coming' trilogy will merge five individual bodies into a single moving organism of limbs and torsos through dance. Then join in a post-show chat with Faye and the cast. Don't miss this original work that Brooklyn Rail called "exhilarating, uninhibited, and adventurous". One of Canada's most honoured theatre artists will be on stage in Melbourne for the first time with '887'. Robert Lepage is a writer, director and performer who is well known for the scale of his theatrical imagination. '887' illustrates his mastery of the grand image as he takes the audience on a journey into the realm of memory - his memory. He explores the workings of memory including selective recollections, commemorative markers and the unconscious. Chiharu Shiota brings a visual art installation that will consume the entire space of Anna Schwartz Gallery. 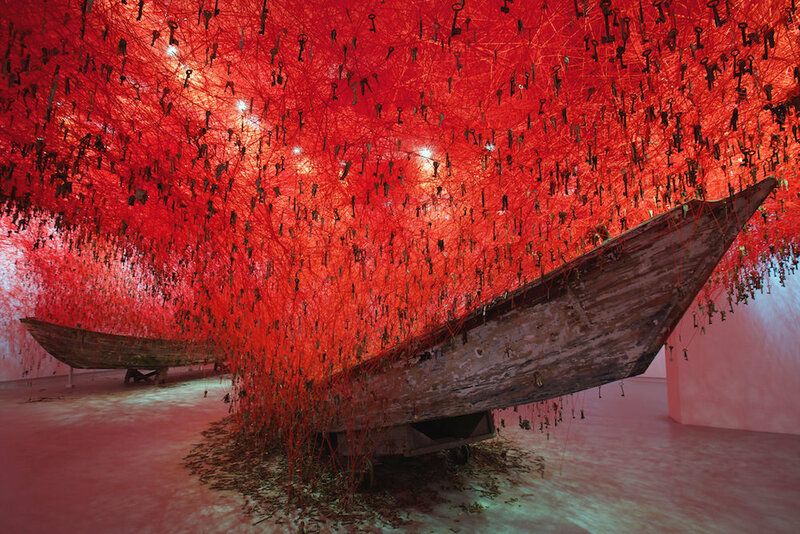 Born in Japan and working in Berlin, Shiota is known for large-scale installations and sculptures including 'The Key in the Hand' permanently exhibited at Detached in Hobart. for her inaugural solo exhibition at the gallery, she has created a new body of work using threads that invite viewers to enter and become one with the artwork. The Melbourne Symphony Orchestra under conductor Vanessa Scammell and Creative Director Amanda Pelman, and various artists have gathered to pay tribute to one of the music legends, David Bowie. An icon of popular music for over 50 years, David refashioned modern music, brought an amalgamation of avant-garde art, science fiction, fantasy into the music industry and his success in various style of music inspired many other musicians. Join iota, Tim Rogers, Steve Kilbey, Deborah Conway and Adalita as they celebrate David Bowie's music. Don't pay full price when you can purchase Festival tickets through the discounts and packages available. Discounts are available on selected A Reserve and General Admission tickets for single purchases and 10% off A Reserve ticket prices applies to group purchases of 8 or more. Family packs valid for 2 adults and 2 children or 1 adult and 3 children ( 16 years and under) allow the whole family to enjoy. You can save 15% by purchasing a mix of 3 or more eligible events. The discount will automatically be applied when you check out the tickets online. You can also choose 3 or more matinees and pay only $40 per ticket. Full-time school or university students can get access to a limited allocation of $25 tickets for B and C Reserve seats. 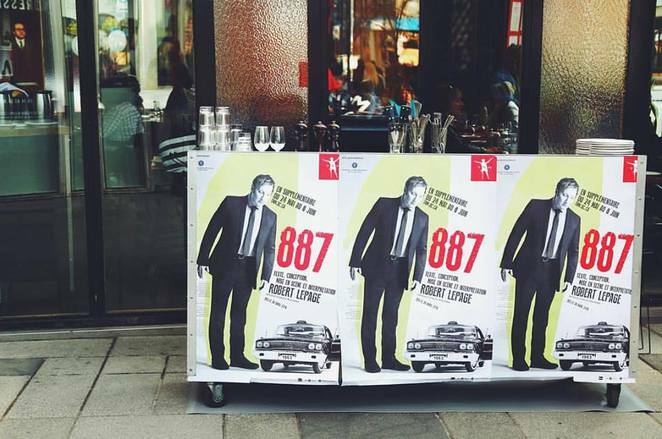 You shouldn't go hungry when attending the Melbourne Festival. To keep tummies happy, the Festival has teamed up some of the best dining venues in Melbourne located close to Festival venues and transport hubs. Some of the familiar names include Pastuso, Om Nom, San Telmo, Fatto, Papa Goose and State of Grace. Each participating establishment will have a special offer available for ticket holders during the Melbourne Festival period.